I recently visited Pomerelle Mountain Resort, a smallish ski area in the Sawtooth National Forest, 75 miles east of Twin Falls, Idaho. It’s about 25 miles from the Interstate. You get there driving through a long, flat valley and small villages (e.g. Albion, pop 300) before turning onto a road that climbs to the 8,000′ base. Lodge, lifts, and trails are easily accessible from the lot. 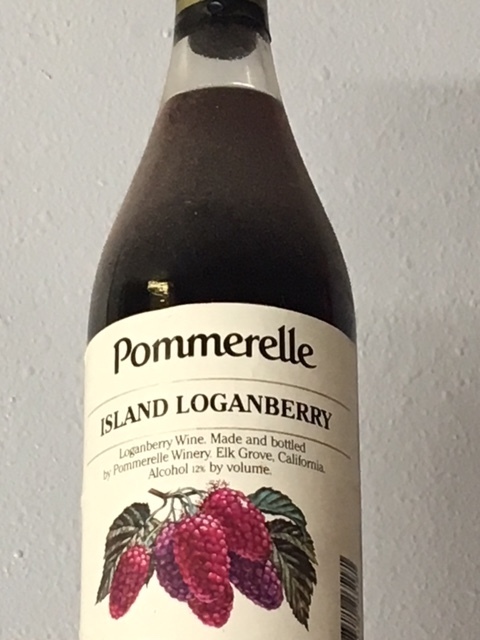 Pomerelle typically gets 500″ of snow! Even during this relatively meager season, it’s doing well. About a foot had fallen overnight. Two triple chairs provide access. A long magic carpet serves a dedicated beginners area. 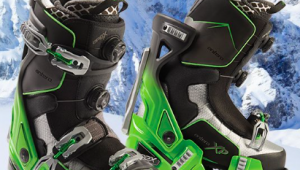 The mountain offers 1,000′ of vertical, mostly green and blue. There’s ample tree skiing. Barry is probably correct, but I met numerous people who learned at Pomerelle and keep returning. In addition to lots of snow, the gentle terrain and lack of crowds appeal to families and older skiers. Prices are part of that appeal. If you’re 70, a day ticket is $25. Group lessons are $35 ($40 with rental) and privates are $60 an hour. If I wanted to hone my skills with new equipment or following injury, Pomerelle would be on the list. The lodge is sizeable with a kitchen serving really good basic food. It stays open late to feed night skiers. I didn’t visit the women’s restroom (obviously) but the men’s was clean and well maintained. Displayed behind the cashier are three bottles of Pommerelle, a long-discontinued brand of fortified wine. The early developers liked it so much that they’d toss bottles in the snow. People who found them got to enjoy the fruity stuff. They decided to name the area after that tradition, dropping one of the ‘m’s. Even though I didn’t find the terrain challenging, I did find it interesting. I can’t say that for most gentle slopes and trails in other places, but there was enough vertical for a good workout and enough acreage to keep my attention for the time I was there. There are places to stay in nearby Albion and in Burley, 28 miles away. I chose Drift Inn in the small town of Rupert. 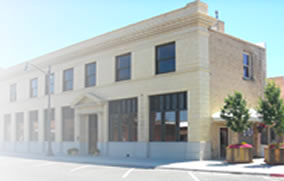 It’s in a turn-of-the century National Historic Register bank building across from the town square. Its six rooms and suites are tastefully done. On the ground floor is Henry’s, a full bar and restaurant. Across the square is Sophie’s Chatterbox, known in the area for breakfast. There’s a certain magic associated with uncrowded, out of the way ski areas that get a lot of snow. Older skiers looking for interesting, gentle terrain, great value, and friendly, old-fashioned hospitality should visit Pomerelle. Yes what he sadid. all true. The mountain is a treasure. 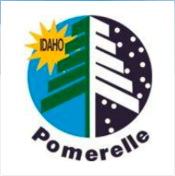 In our drives between WA and Co on ski trips we always noticed the Pomerelle sign. Finally after leaving Ketcum in the early AM headed East we decided to take a look at the ski area. 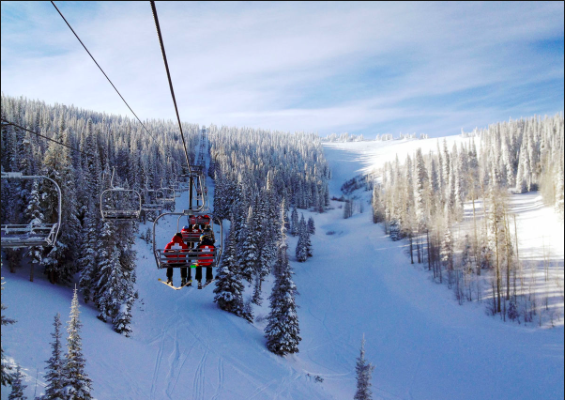 It was a Friday and Ranchers Day with $5 lift tickets. We could afford that. The sun was out and the area had over 6″s of untracked snow. Beautiful skiing on a beautiful day. As we had a snack before driving on to Utah the area operators chatted with us about the place. Years have passed, but Pomerelle maintains a favored place in my ski memories. Sounds like the perfect antidote to complaints aired elsewhere in this week’s issue regarding the changes to the Max pass (now Ikon) and other profit-driven changes by the industry consolidators. 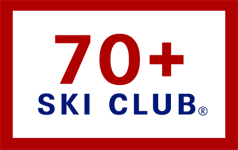 We senior skiers can vote, at least to some extent, by where we choose, or don’t choose, to ski.